After completing his pre-med studies at Abilene Christian University, Dr. Stamps was accepted to Parker University in Dallas, Texas. Upon graduating in 1995 with his Doctorate of Chiropractic, Dr. Stamps was awarded the highly esteemed “Parker Philosophy and Principles Award given to him by the late Dr. Jim Parker for displaying the high morals and chiropractic philosophies of Parker College of Chiropractic. Dr. Stamps moved to New Braunfels to begin his Chiropractic practice and to fulfill his dream of having a Chiropractic Wellness Center. 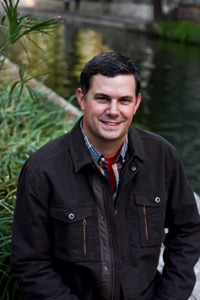 In New Braunfels, Dr. Stamps has been awarded the New Braunfels People’s Choice Chiropractor of the Year. He has been a recipient of this award for 14 years! 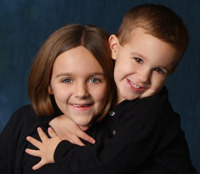 Both children receive regular Chiropractic care. Thank you for visiting our site. I look forward to meeting you in person and learning how we may be of service to you. If you have any questions, please call our New Braunfels practice at (830) 625-6011 or click on the “Email Doctor” button located at the bottom of each page. May God bless you with health, joy and fulfillment! Wes Stamps, D.C.